We are now turning to April, the month that brings us to summer time. When we talked about Sang Kran Festival in Thailand. Everybody might nostalgic about splash water on each other, sprinkling scented water on the Buddha Image, go to the temple for merit-making rituals and particular pouring scented water on the hands of revered elders. A nice smell that you are familiar with, that is the smell of “Nam Ob” the Thai Traditional Classical Perfume. 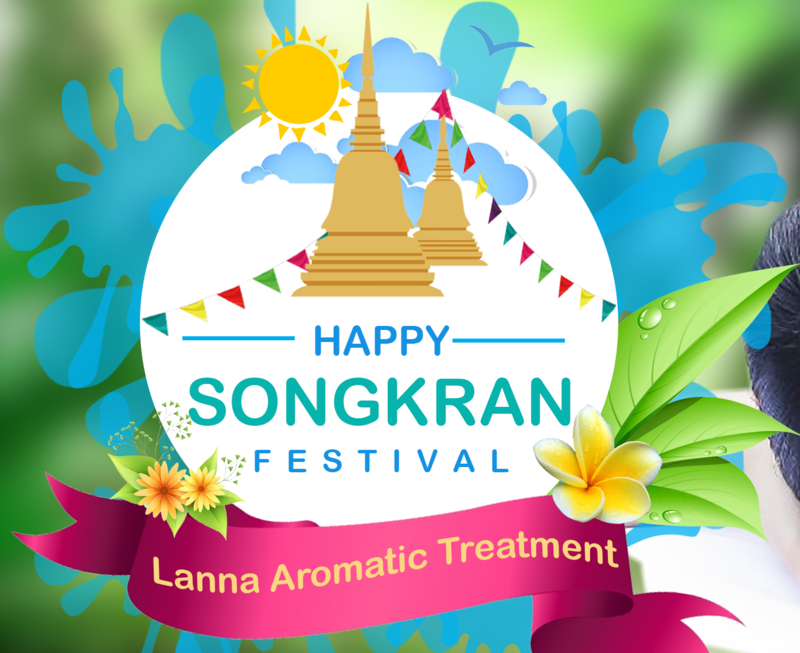 And for this wonderful festival, Masumi Spa would like to present our new treatment “Lanna Aromatic Treatment”, new treatment that has a smell of “Nam Ob” the Thai Traditional Classical Perfume. By the traditional way from Lanna style. All this, we like to treat and skin rejuvenation for customer in Song Kran Festival only. A: Aromatherapy Massage 890 Baht/ 90 Mins. B: Lanna Aromatic Treatment 990 Baht/ 90 Mins. C: Jasmine Rice Body Scrub & Lanna Aromatic Treatment 1,590 Baht/ 120 Min. This promotion cannot combine with other promotions. Please note that our promotion are subjects to change without notice.